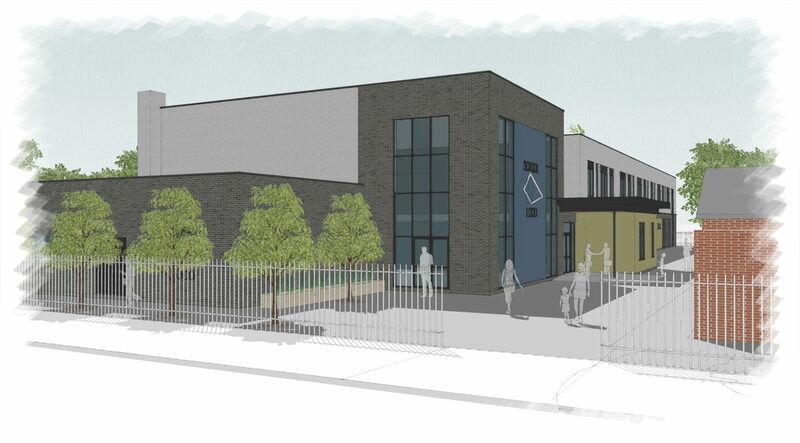 Work has started on site with the new primary school for Vantage Academy in Gorton, Manchester. 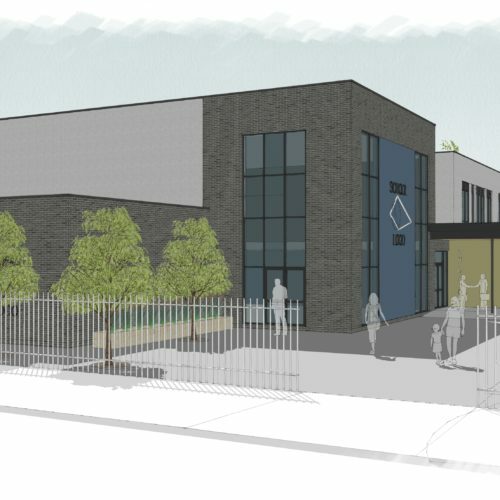 Gorton Primary School is to be a non-faith, two form entry (2FE) school with 420 no. primary school places and 52 no. nursery places, for children aged 3-11 years old. At full capacity the school will accommodate 472 no. children. Demolition is underway with the existing buildings to clear the site for the new development works. 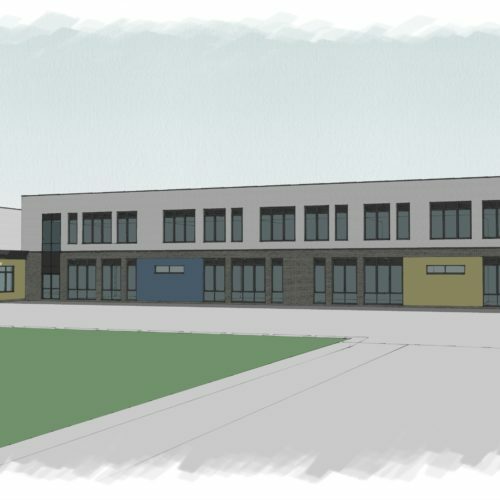 The existing building did not lend themselves to the specification requirements of the ESFA for modern educational facilities, hence the need for demolition as opposed to conversion of the existing building. 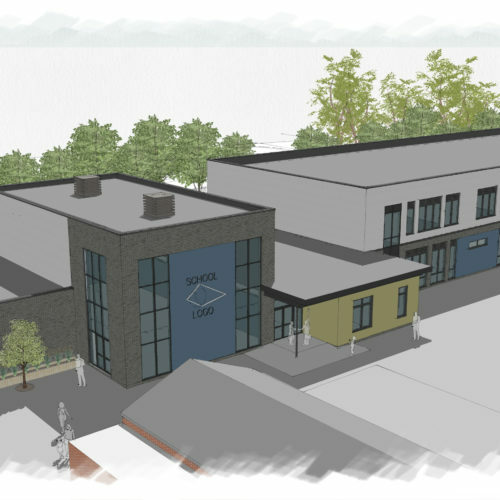 The proposed school building will provide teaching space across two floors. 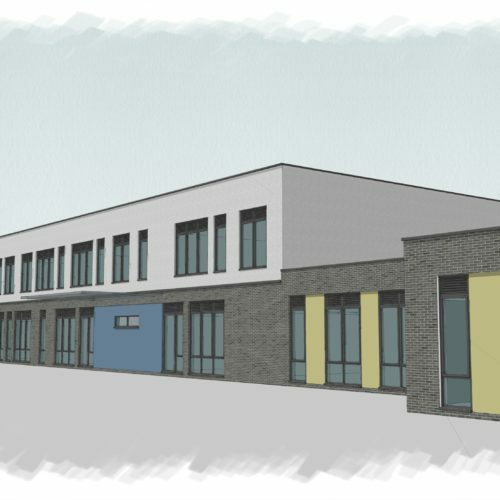 The ground floor will contain classrooms for the nursery, reception and years 1 and 2. Each year group will have a shared cloakroom and WC. 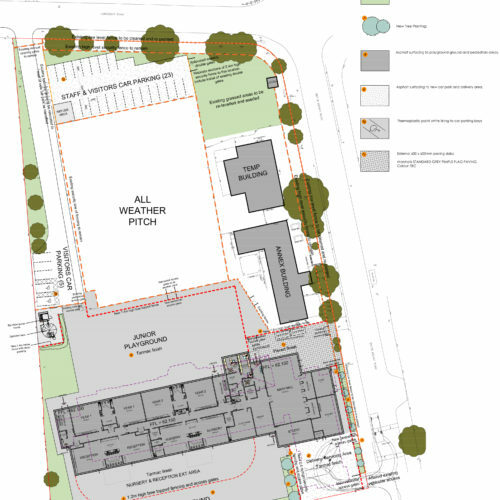 The nursery and reception classes will also have wet play areas and the nursery will have a self-contained kitchen. The administrative areas are located in one area of the building, close to the main entrance. 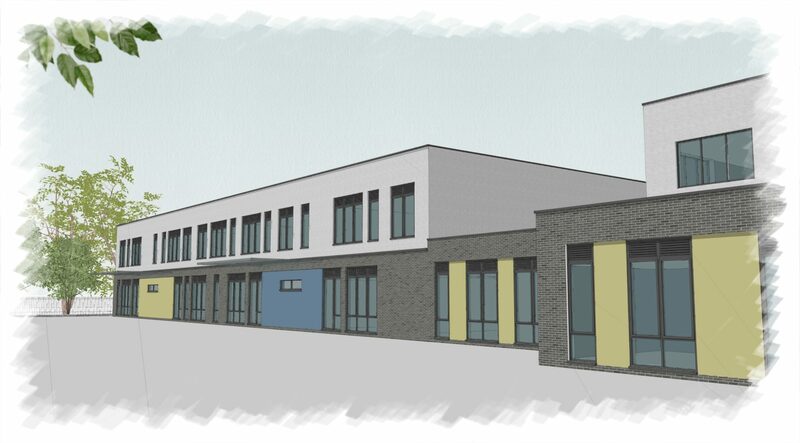 The ground floor will also contain the main hall, a studio, PE store and kitchens. 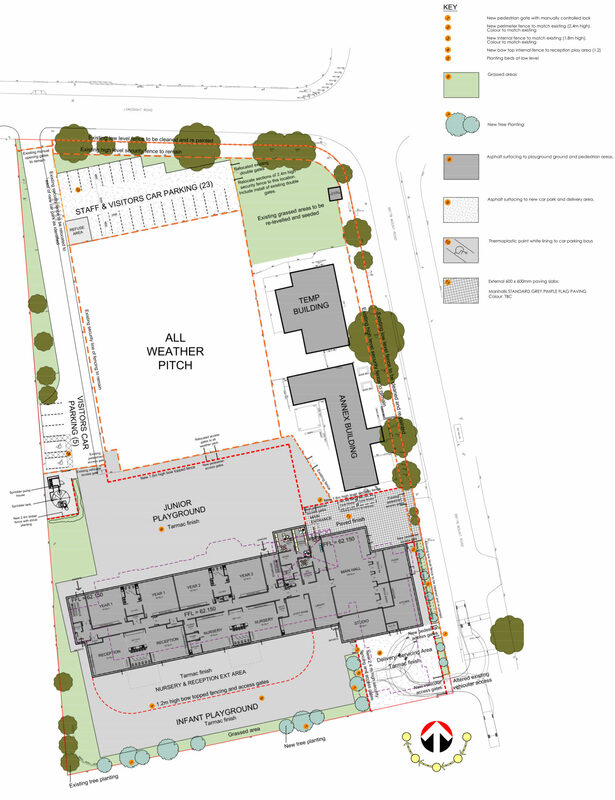 The first floor will contain classrooms for year groups 3, 4, 5 and 6. There will also be open resource areas. Completion is due in March 2020.